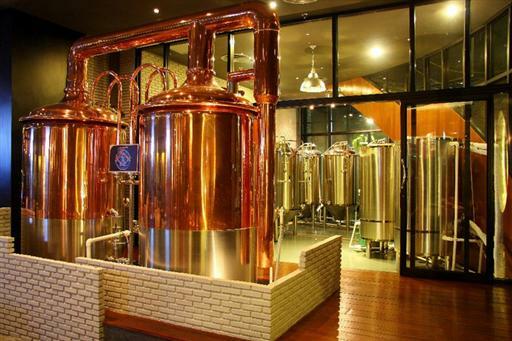 Located at the JungCeylon shopping center at Patong Beach, Full Moon Brew Works is Phuket’s first microbrewery. 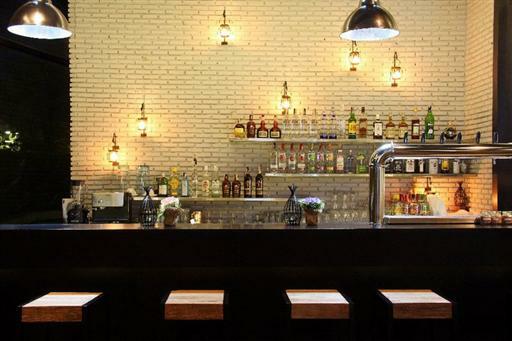 The bar and restaurant produces its beer in-house and offers a menu of 3 different beers available by the glass or in tasting portions. Regular prices are THB140 (USD4.50), but during happy hour from 4pm to 7pm prices fall to just THB100 (USD3.25) per pint. Full Moon Brew Works also has a full menu of Western and Thai food. The restaurant offers pub grub like onion rings and nachos plus heartier entrées like steak and burgers. 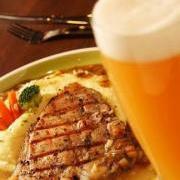 Lunch specials are available and cost THB299 (USD10) for your choice of main and a half-pint of beer. All food and drink prices are subject to 10% service charge and 7% local taxes. Though Full Moon Brew Works imports their malt from Australia, many local ingredients like herbs and gaba rice go into their beer and you can see the large brass brewing tanks inside the restaurant. Regularly available varieties are the refreshing Phuket Lager, bold Dark Ale, and Oriental Wheat beer flavored with tangerine peels to give it a unique taste. Full Moon Brew Works is open daily from 11am – 12am. For more information about the restaurant, visit their Facebook page or their website at http://www.fullmoonbrewwork.com/. Their phone number is (66) 076 366 752.